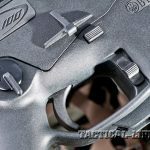 Beretta ARX100 —taking the AR platform to the next level for hunting and self-defense! 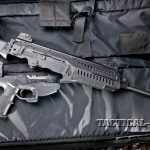 For hunting, self-defense or plain old shooting fun, Beretta’s new, cutting-edge ARX100 5.56mm is lightweight, fast-handling and easy to shoot. 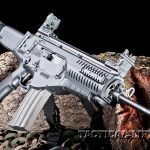 A civilian version of the Italian military’s ARX160, this carbine’s stylish, next-generation design is going to attract plenty of attention. 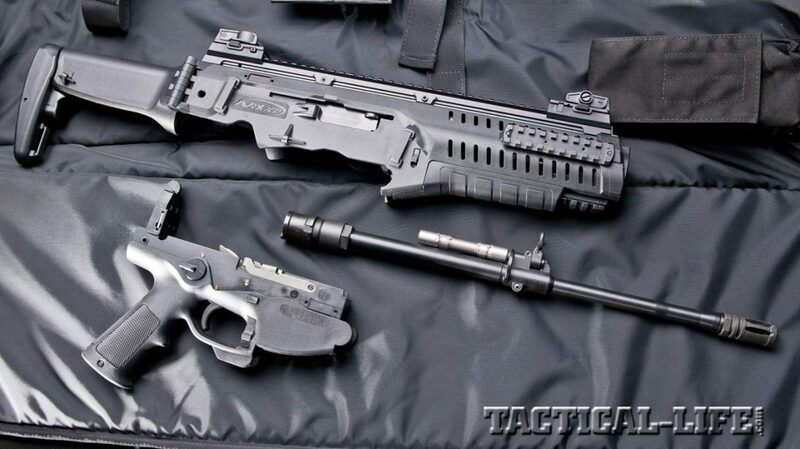 The stock folded, the ARX100 makes a small package for easy storage or transportation. The ARX100 can be disassembled without tools in seconds. An added bonus: The barrel can be removed and replaced without disassembling the rest of the gun. It doesn’t look exactly like one, and the internals are different. 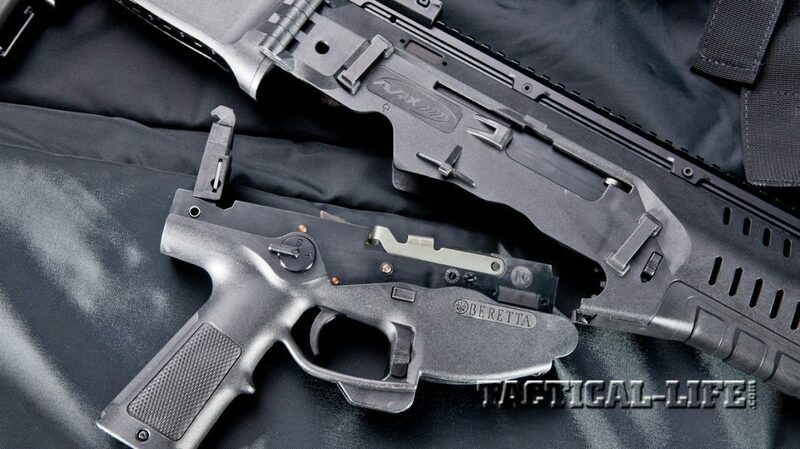 But even though the focus of this magazine is the AR-15, the Beretta ARX100 has a place here. It certainly can serve many of the same purposes as America’s black gun, like enforcing the law, fighting wars, hunting and serving as a self-defense arm for citizens. 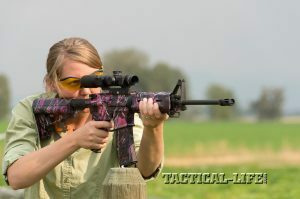 And it sports some features that were either developed or improved during the long life of the AR-15. Some may argue that the ARX100 is better than the AR-15, and others will vigorously contest that notion. 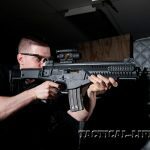 Wherever you stand on the issue, you will probably agree that the ARX100 is an interesting development in the evolution of the small-caliber, high-velocity carbine. 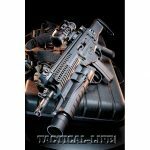 In 2007, Italy began the development of a new gun for the 21st century that was supposed to be superior to the AR-15 and M16 that have been serving civilians and the military since the mid-20th century. That new gun, when completed and adopted by the Italian military, was designated the ARX160 and was reportedly given that name to indicate it was 10 times better than the M16. While only the user can determine if that goal was met, there is no question that the ARX160 has some noteworthy and useful features. Except for full-automatic fire, those features are included in the civilian ARX100 that I was recently able to test and evaluate. The first thing that strikes the eye when viewing the ARX100 is its space-age styling. 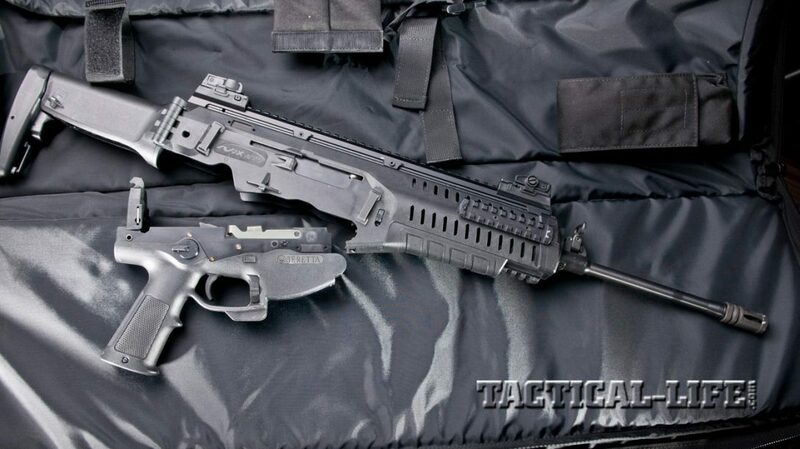 It has the basic profile of a military carbine but with a modern look. Italians are known for their flair in styling, and it shows with its curved lower forend and magazine well that contrast with the straight lines and jagged features of the barrel and rails. 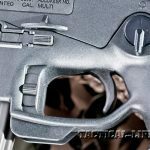 While the AR is mostly aluminum and steel with some polymer parts, this gun has a lot of polymer, with a bit of steel and aluminum in areas where polymer just isn’t strong enough for the forces generated during the firing cycle. 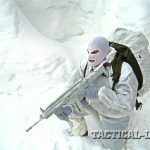 But the way these materials work together results in a gun that requires little lubrication, and that is a very positive feature in extremely dusty places like the Middle East where the military ARX160 version is deployed. 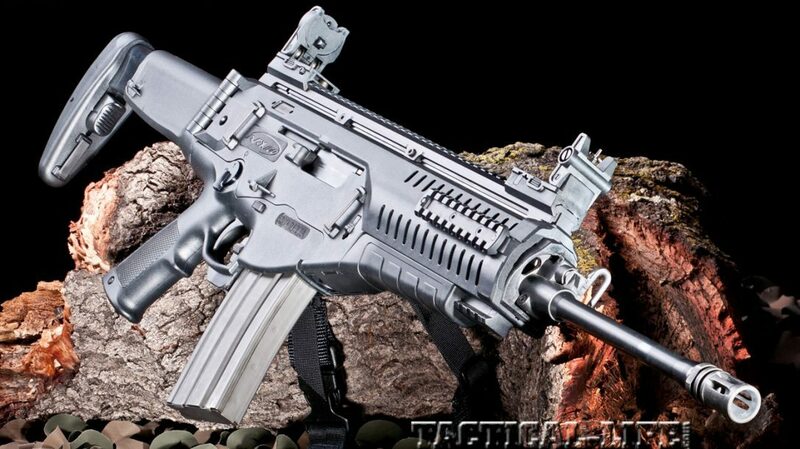 The ARX100’s upper receiver is polymer with an ejection port on each side. That, along with a thin, 16-inch barrel, makes it a lightweight gun, which is a definite positive if you’re toting it around the hunting fields for very long. My unloaded test gun tipped the scales at only about 6.8 pounds. And because the cartridge it fires—either 5.56mm NATO or .223 Remington—creates only a moderate amount of recoil, the gun is pleasant to shoot even though it is not very heavy. 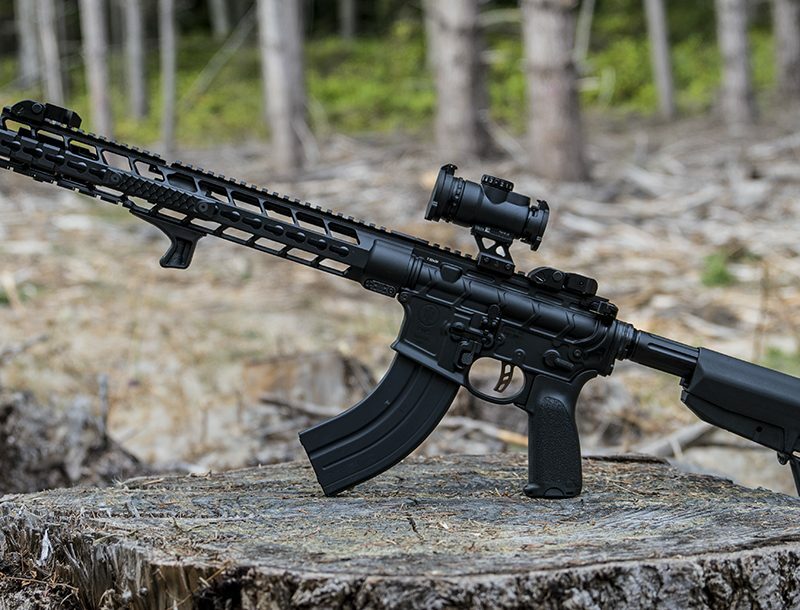 At the muzzle end of the cold-hammer-forged barrel, the ARX100 sports a standard AR-style A2 birdcage flash suppressor. 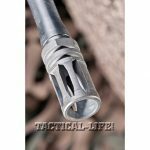 The lightweight barrel, with its 1-in-7-inch twist rifling, is treated with a very handsome nitride-salt-bath finish that actually becomes a part of the metal. This Melonite (or black nitride) finish is extremely hard and corrosion resistant, eliminating the need to chrome plate the barrel and chamber. A very nice feature of the gun is that the barrel can be removed and replaced by locking the bolt back and pulling down on two tabs located on the sides of the polymer receiver. Then just pull the barrel forward. Careful though, because if the barrel is hot, gloves will be required. With the barrel removed, cleaning is easy. The short-stroke gas piston, which which obtains a nickel-boron looking finish after firing, is stainless steel and self-cleaning, is attached to the barrel and comes with it when the barrel is removed. Actually, the piston is stationary and the cylinder moves. When the gun is fired, gas is bled through a port in the barrel into the piston, where it forces the cylinder to the rear and cycles the bolt. A great benefit to this system is that very little carbon-laden hot gas gets into the receiver like it does with a direct-gas-impingement AR. The bolt and receiver “run” cooler, which extends the life of those parts and reduces the need to heavily lubricate the bolt. To complete field-stripping, the stock is folded to the side. Then the safety is pushed about 30 degrees up while the retaining plate at the rear of the receiver is pushed in. The lower receiver can then be separated from the upper receiver. Next, the bolt carrier group is pulled to the rear and removed from the receiver. It includes the recoil spring, which is easily detached. The bolt rides in a channel machined into the carrier, and a curved slot in the carrier serves as a camway in which a cam rides to rotate the bolt and unlock it. The steel bolt carrier group rides on what appear to be aluminum rails inside the receiver. The bolt has seven lugs similar to those found on the AR, but the bolt is quite different. 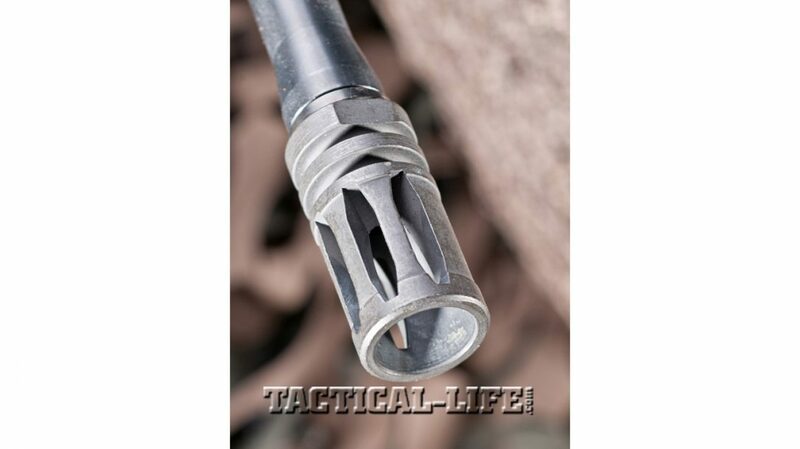 Besides having a spring-loaded firing pin, it actually has two devices that can only be described as extractors/ejectors because they serve both functions. Using a pointed object like a cartridge, a selector at the rear of the receiver can be pushed to the right, which causes right-side ejection. Pushing it the other way causes left-side ejection. It just takes a second to make the change. If right-side ejection is selected, the extractor/ejector on the left pushes forward while the other extractor/ejector remains stationary. Because the device has a groove and not just a hook, it pushes the spent case with it and tosses it out when it moves forward. Very ingenious. 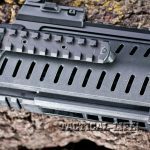 The upper receiver and forend are one piece, which facilitates the attachment of an aluminum Picatinny rail with numbered slots that runs from the rear of the receiver to where the front sight is located. This provides an uninterrupted plane to mount any type of carbine-compatible optic, from a red dot to a hunting scope. It would also be easy to attach night-vision equipment in front of or to the rear of the optic for those who would like to use this gun at night for hunting in those jurisdictions where that is a legal option. The gun comes with polymer flip-up front and rear sights that are adjustable for windage and elevation. 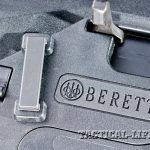 The rear sight has five apertures situated on a disc that are calibrated for ranges of 100, 200, 300, 400 and 600 meters. 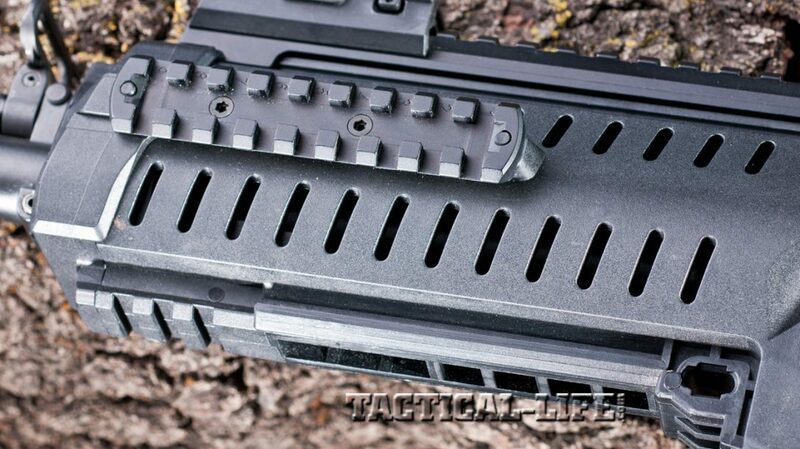 Four-inch Picatinny rails are located at the front of the vented forend at the 3 and 9 o’clock positions. A 1.5-inch rail is located at the 6 o’clock position. 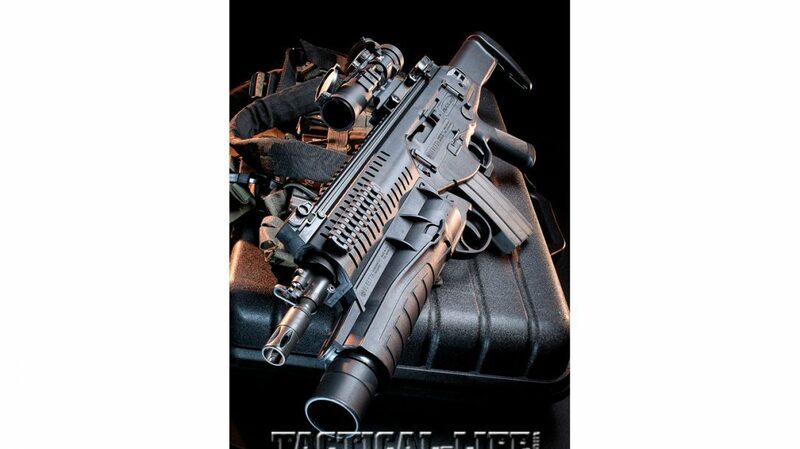 These rails allow for the attachment of various accessories like a vertical foregrip, light or bipod. All the rails (except the one on the bottom) are aluminum and have numbered slots. The lower part of the forend can be easily removed to reveal Beretta-proprietary attachment points for various accessories. This is no doubt a carryover from the military version, which can accommodate a grenade launcher. 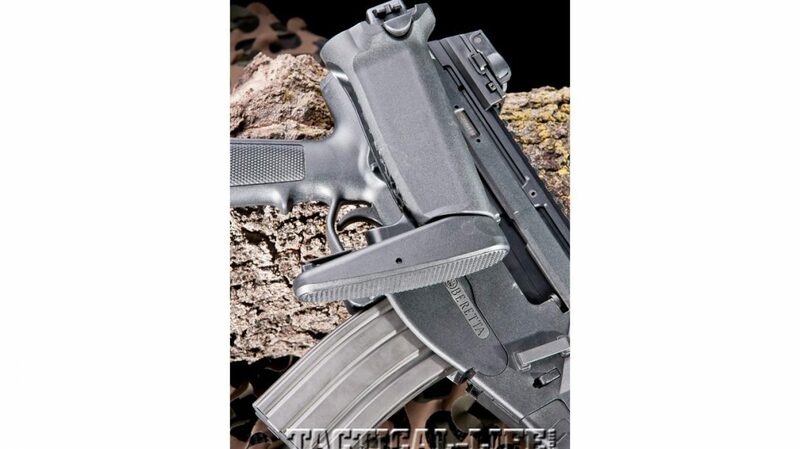 The pistol grip is similar to that of an AR’s A2-style grip, but is an integral part of the polymer lower receiver that houses the magazine well and trigger group. It can’t be changed, but it does have a removable bottom plate that protects a storage compartment inside the grip. 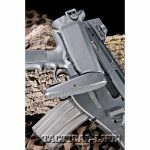 The polymer buttstock is adjustable for length of pull at the press of a button and has four positions that accommodate shooters of various statures or who are wearing thick or thin clothing. 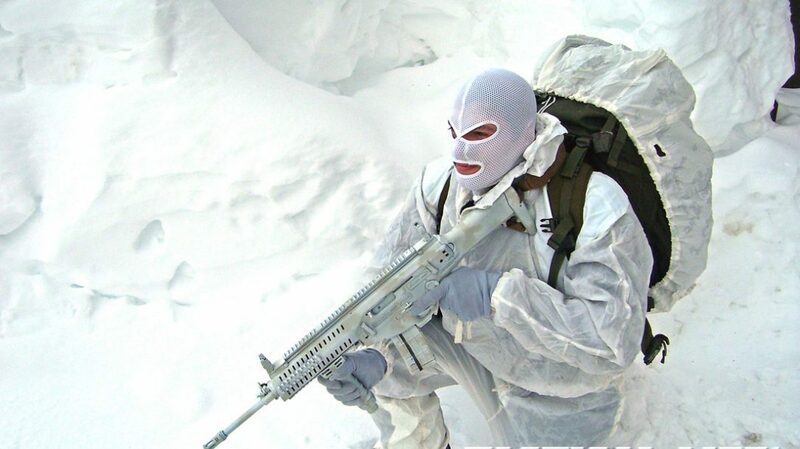 In an emergency, the gun can be fired with the buttstock folded alongside the receiver. 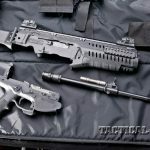 There are six sling attachment points: one on the inside of the buttstock, four at the front and rear on both sides of the receiver, and one that rotates 180 degrees around the top of the barrel, just in front of the front sight. All accommodate a sling strap but do not have quick-detachable features. The ARX100 is truly ambidextrous. Besides featuring left or right ejection, the charging handle can be quickly changed from one side to the other. The magazine release, located in the same general area as an AR’s, can be activated from either side. 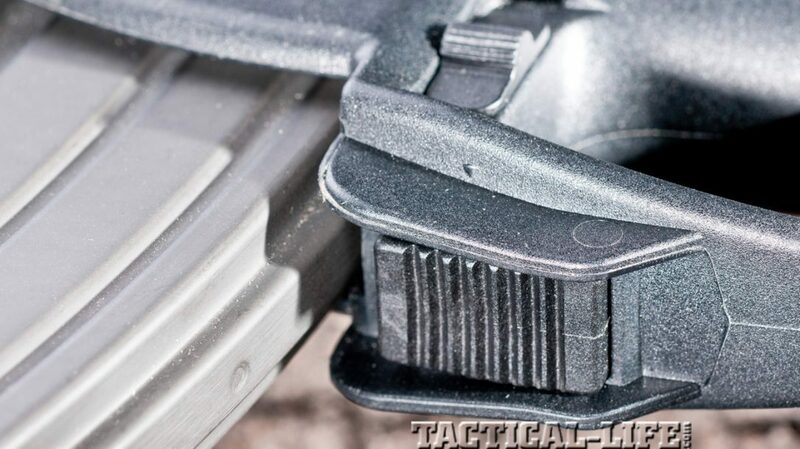 And the magazine can also be released by pushing up on a button located at the bottom of the triggerguard just to the rear of the magazine well. The bolt can be locked to the rear with the same button. 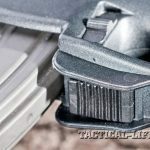 The bolt catch can also be activated with the trigger finger by a button located on either side of the receiver just to the rear of the magazine well. 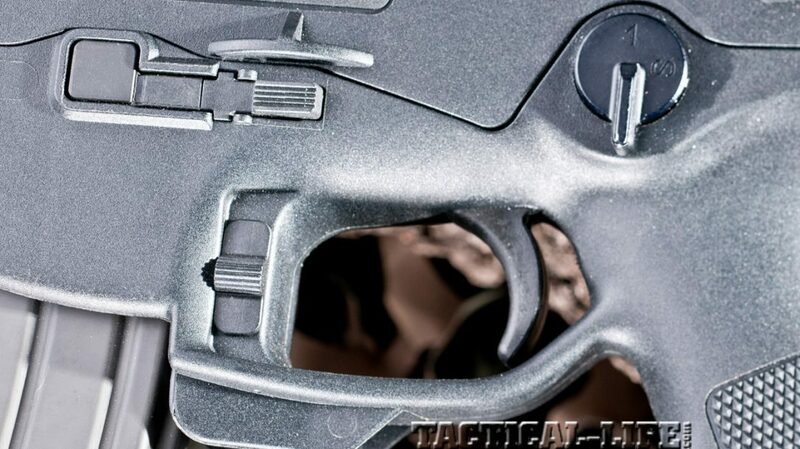 The safety lever is fully ambidextrous and located in about the same place as an AR’s. 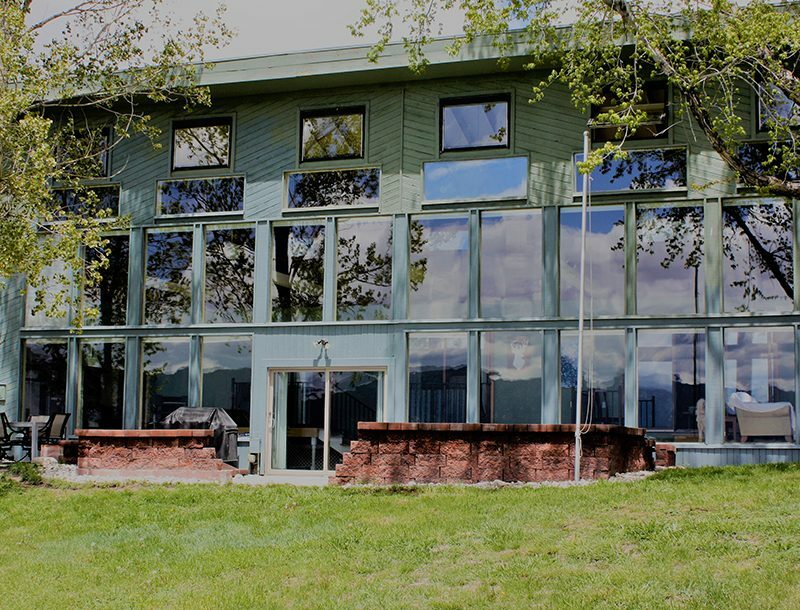 It is a little stiff and could be a bit longer though for better leverage. Despite the ARX100’s light weight, recoil was quite manageable and not uncomfortable in the least. The controls were positive and required only a bit of getting used to. Magazine changes were quick and easy to accomplish even though there is no bevel on the magazine well. Incidentally, the ARX100 uses AR-15 magazines, so there will be no need to search for special proprietary magazines. Returning the bolt to battery after loading was lightning quick because the trigger finger did all the work without the need to modify the shooting hand’s position. During the entire testing period, no malfunctions of any kind were encountered. I used an EOTech XPS3 holographic sight with a 1-MOA red dot within a 65-MOA circle for a reticle. 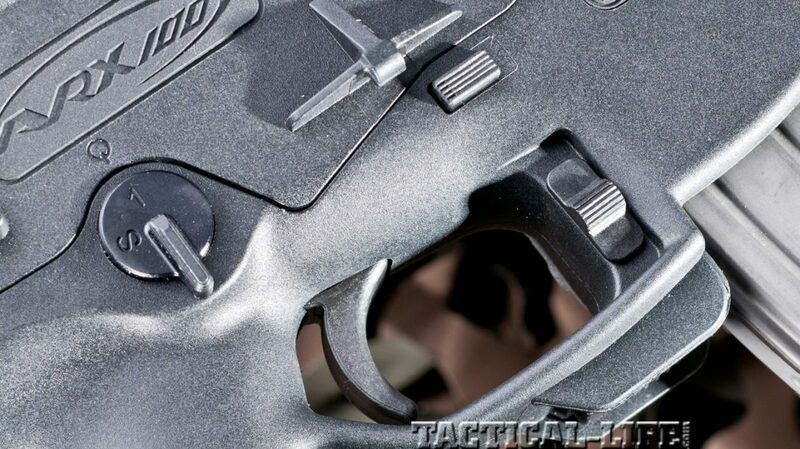 This sight is very fast for tactical drills or hunting. Accuracy was satisfactory for a gun with such a military heritage. This is not a precision rifle and was not designed to be, but it did turn in groups at 100 yards of around 3 to 4 inches. 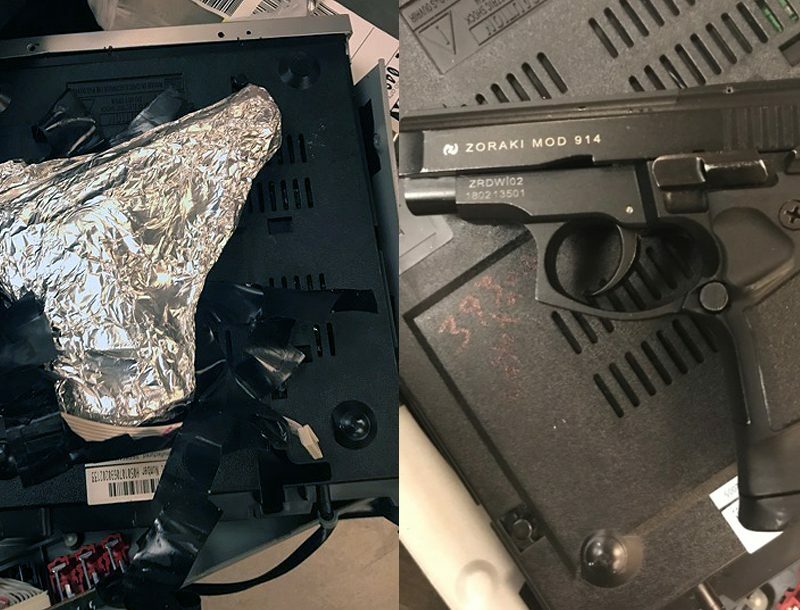 The single-stage trigger was stiff with a bit of slack that included a false break before the trigger finally broke for real at about 7 pounds. For tactical purposes or hunting most medium- and larger-size game at reasonable ranges, it will work just fine. 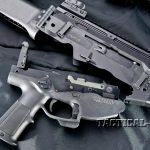 The ARX100 is no doubt going to appeal to those who want a gun for self-defense, hunting small game or just to have something different. Do yourself a favor and check one out if you can. 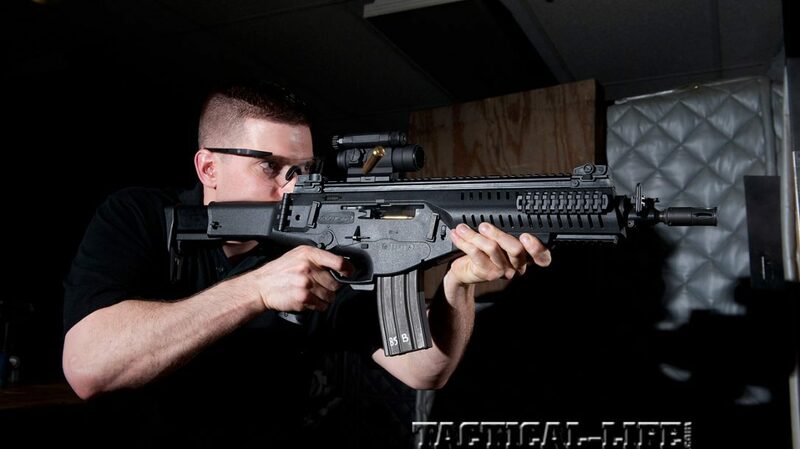 The ARX100 is an interesting and versatile gun. 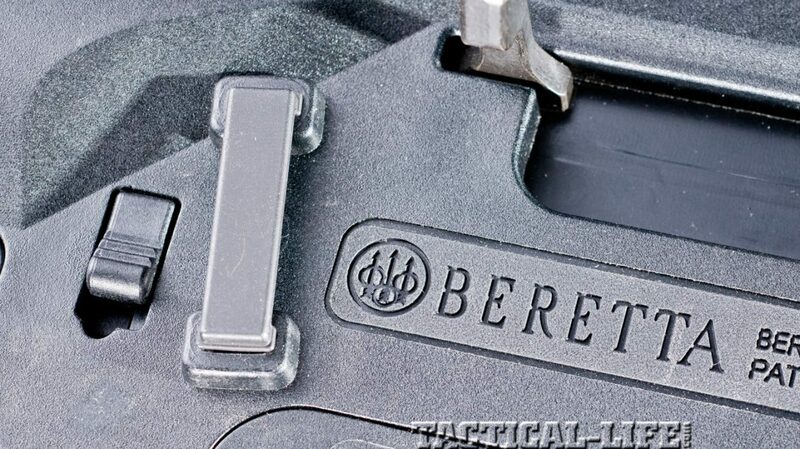 For more information, call 800-929-2901 or visit berettausa.com.